The Shifts page displays a lot of information. If you have multiple locations or a lot of positions, it can be hard to see what you need at a glance. That's why we have included lots of options to filter just the information you want to see. To begin with, it is possible to view your schedule by day, week, or month. Premium and Business accounts can also choose custom ranges (up to 120 days). 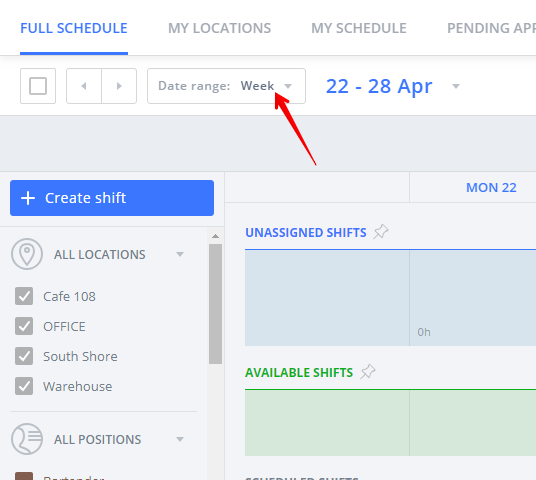 To choose the view that works best for you, use the menu at the top left of the Shifts page. You can also choose how to sort the schedule information. 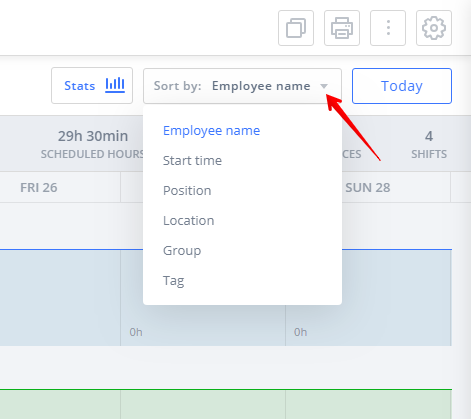 The options are slightly different between views, but there are options for employee name, position, location, event, group, tag, and start time. You may need to switch views in order to view the info as you would like to see it. In addition to these options, there are filters on the left side which can be used to remove or include information. You can click on the checkbox or the description to hide or show info. For example, if you have a large list of locations or positions, you can click one name in the list to select it and un-check all the others. Depending on how you use Groups and Tags, you can use these filters to show departments, teams, specific clients, classes, shift times, and more. 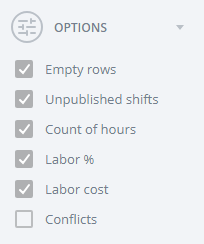 The Events filters allow you to focus on certain shift types, which can be especially helpful when printing. 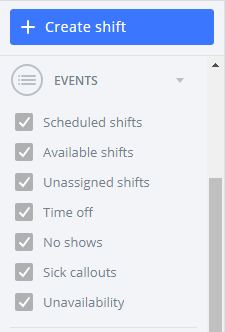 For example, you can remove no shows, sick callouts, available and unassigned shifts so you can print just scheduled shifts, time off, and unavailability. The Options filters are also mostly helpful for printing so you can remove sensitive or unnecessary info. 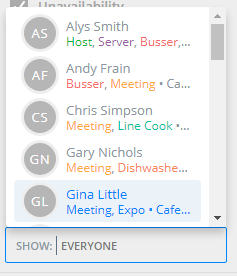 Finally, you can also use the Show field to select one or more employees, which helps when you might need to print an individual schedule.